I have been working hooking APIs for a while and I always wanted to have a tool to understand which module is doing what. Sometimes there is an error in an application and it is not possible with current tools to know the source of the problem. 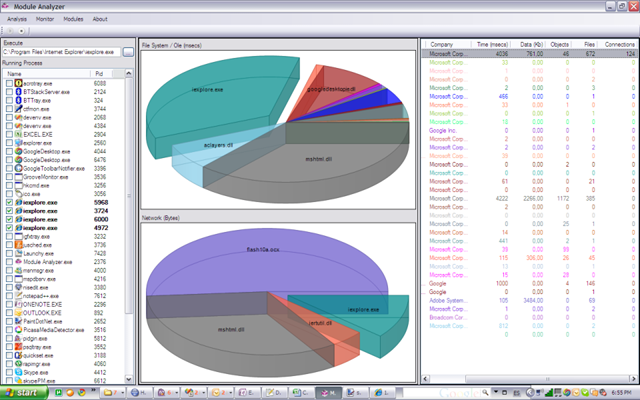 Module Analyzer comes in our help to troubleshoot applications. 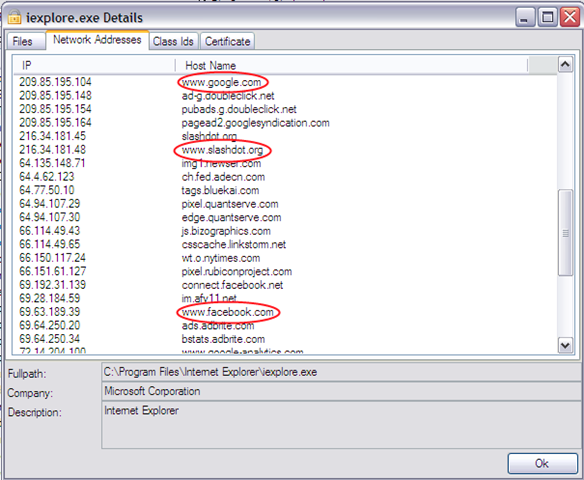 Most of Internet Explorer performance issues are caused by add -ins. Most of the delays that users think that are Microsoft responsibility are caused by the addons loaded within the browser. 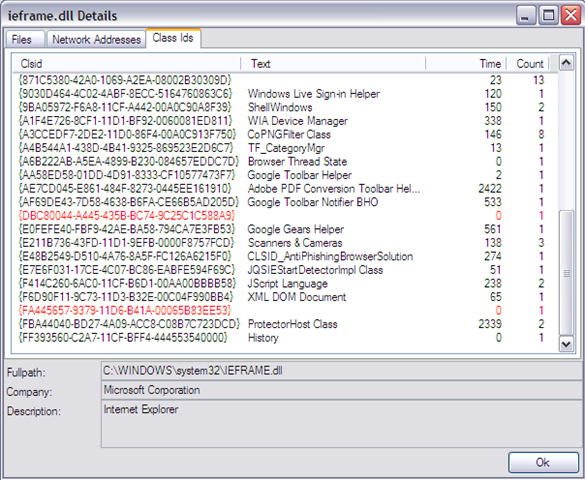 The same happens with Explorer.exe: there are a large amount of Shell Extensions that slowdown all shell operations. Detecting this issues is very easy with Module Analyzer. 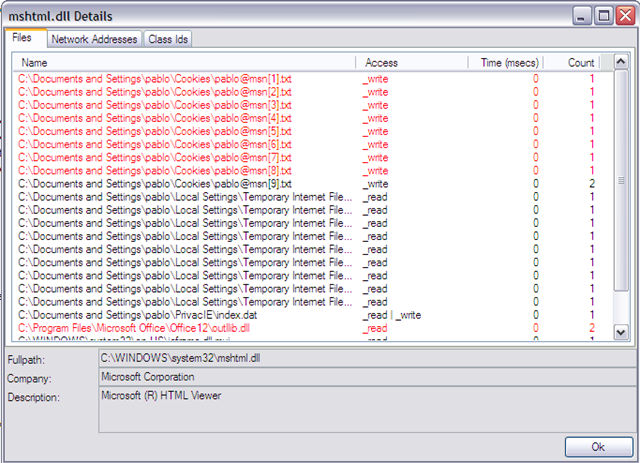 Module Analyzer shows all the COM objects instanced, files accessed and network urls from a dll point of view. It shows the first module in the call stack that is not one of the well known OS dlls. Module Analyzer intercepts gethostbyname API to get network urls before they are translated to a fully-qualified url. For example, if you use a network monitor, when an application tries to get http://www.google.com it will show something like http://eze03s01-in-f104.1e100.net. Module Analyzer also displays the time that each module consumes in API calls so you can see what modules is slowing down an application.